Downs Road Boat Yard plays home to Heritage Marine Foundation, situated in the historic river port of Maldon on the Blackwater Estuary. The Yard is well established in the field of traditional boat repairs and restoration. Many substantial rebuilds and refits have taken place here over the years from classic yachts to working vessels. These have included magnificent Thames Sailing Barges and sailing Smacks of the East Coast. Downs Road's nucleus of skilled Boat Builders, Shipwrights, Engineers and Riggers along with their associated trades make sure the yard is an ideal location to base the foundation. Surrounding our apprentices with knowledge and a lifetime of experience. As well exciting potential major restorations, new builds or just minor repair projects. The preservation, restoration and operation of historically significant vessels and the continuation of traditional maritime skills. The provision of training and work experience in maritime skills to those unable to sponsor themselves through a dedicated program as well as offering that training to the public at large. 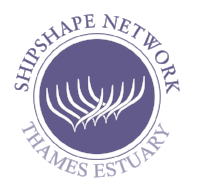 Advancing the education of the public and raising awareness of maritime heritage by maintaining and operating historic vessels, participating in public events, conducting research and offering education, information and advice. Researching and promoting traditional methods of fishing under sail in order to educate, encourage and promote the concept of sustainable fishing. Researching and developing carriage of cargo under sail in order to educate, encourage and promote the concept of sustainable waterborne freight. Carrying out research and educating the public into the sources of pollution at sea and promoting cleans seas and responsibility for local marine environments .